With seating for seven, a generous offering of standard equipment, and a full complement of safety features, the 2013 Volvo XC90 SUV is a great fit for parents who consider safety and versatility as top priorities in their next SUV purchase. Volvo’s are the best and safest! I love my rear seats that can turn into a trunk. I love the Volvo! Not only do I feel super safe on the road but I also love the features. My favorite part of all cars is the sunroof because in South Carolina I am able to use it all year. Having a separate rear ac is nice because the seats all the way in the back still cool down just as well as the middle. I love my satellite radio and I love how I can connect my iPhone to the car. I think I would choose the SUV version next time I get one but I would still stay with Volvo’. My only complaint is the last Volvo I drove had a light that would come on if someone was in my blind spot on the highway but this one I am currently driving does not and I really miss that. Mine is white which is perfect for warm weather which is what we have the most here in sc. I love how I can choose whether to have the seats in the way back or use it as the regular trunk. It drives great, very smooth. Plenty of trunk space when the third row in down. Trunk space is limited if you are using the third row. The seats are comfortable. I love that it has such a great safety rating. The warner’s is also great if you purchase pre owned. It is a safe and reliable brand and suv. I really like the reliability of this Volvo. 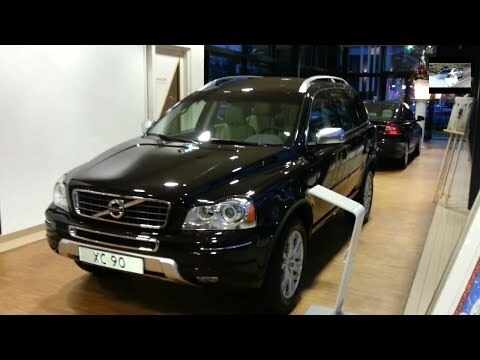 It is the second Volvo xc90 that my family has owned and I like everything about it except the color. It is white and my wife chose it and the color.